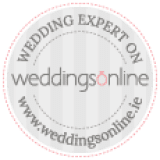 Getting married in the algarve - why choose the Algarve? Welcome to the Algarve! A land of stunning landscapes, unique weather, very friendly people and delicious food. This is the perfect combination for a unforgettable, memorable, beautiful event of a life time: your wedding! From rustic to sea views, from Portuguese traditional to saying I do with sand on your toes, from a private villa to a luxurious resort, from a romantic garden to modern venue, The Algarve caters for all tastes. Whichever envision you have for your wedding day the Algarve delivers for the most demanding requirements. The natural features combined with a personalized and detailed wedding planning by one of our wedding & event planners experts will ensure that your dream wedding comes true. It is said there are 365 golden beaches and 3,000 hours of sunshine, ensuring your perfect wedding in the sun. Its Mediterranean style, whitewashed buildings, a mild climate all year round and soft sandy beaches contrast with an unbelievable blue ocean. The Algarve it's the ideal location for your destination wedding, less than 3hrs flying time from the UK and Ireland and cheap flights with low-cost airlines from most European countries.